I'm a huge fan of Anthony Bourdain. The dude loves life and lives hard — and shares it all (good and bad) candidly. Often in the evening, as Kim and I eat dinner, we'll watch an episode of Parts Unknown, which is ostensibly about travel and food but actually about the human condition. It's great stuff. 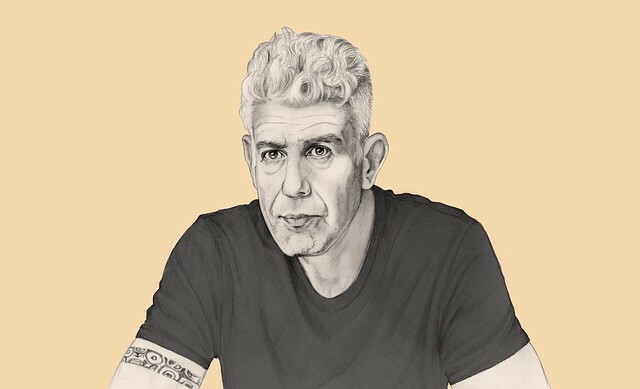 As part of their excellent Money Diaries series (“interesting people talking candidly about money”), robo-advisor Wealthsimple interviewed Bourdain about his relationship with money. “My parents were not good with money,” Bourdain says. “They bought things they couldn’t afford.” When they did have money, they spent it instead of saving. As a result, his money blueprint was faulty from the start. The sad fact is, until 44 years of age, I never had any kind of savings account. I’d always been under the gun. I’d always owed money. I'd always been selfish and completely irresponsible. 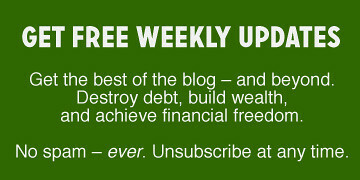 There are 4 reader responses to "Anthony Bourdain’s money diary". Is the GRS forum gone? Love Anthony Bourdain and especially this money diary. So many great quotes. This one’s a keeper. Thanks for sharing! PS At the risk of repeating myself, congrats again on the buyback of GRS. I loved the original GRS, loved MoneyBoss, and this site so far seems to be the best of both worlds. I’ve been reading PF sites since around 2005/2006, and you were always a favorite. J.D. – Bourdain is awesome. Could you imagine how crazy it would be to throw back a couple drinks with him??? Thanks for the link to his interview (and the others I read). I loved this. Also check out Hasan Minahj, where he talks about investing in himself rather than others. Great site, thanks for the link!